And so we come to Chaplin’s final completed feature film and our final part of this series, A Countess in Hong Kong. Released in 1967, Chaplin was nearly 80 years old while directing this picture. It was his first and only time that he shot a widescreen presentation and his only feature film outside of 1923’s A Woman in Paris that he was not prominently featured as an actor. In fact, he played the exact same type of small role as he had in A Woman in Paris in this film, that of a steward. The film stars internationally known Oscar winners Marlon Brando and Sophia Loren. Brando plays Saudi Arabian-designate Ogden Mears, who is on his way home from a world tour aboard a luxury liner. A married man, yet one who is more or less estranged from his spouse, Mears is sailing back alone with his older valet Hudson (Patrick Cargill) and lawyer friend Harvey (Chaplin’s son with Lita Grey, Sydney Chaplin). Loren plays a Russian Countess named Natascha, who sneaks aboard the luxury liner to escape being forced into prostitution. Because she has no passport, she is forced to stay in the same cabin as Mears and hideout from the authorities on board. A flurry of comedic situations between uptight Mears and exotic, outgoing Natascha ensue and an overarching plot of finding a way to get Natascha safely off the ship is followed throughout. Essentially, the film plays out like a 1930s romantic comedy programmer, which didn’t fit very well into the 1960s. In fact, Chaplin originally had the idea for this film in the 1930s after he sailed on his three month tour around the world. Had the film been completed at this time, Paulette Goddard would have starred in the role of Natascha, and I’m sure Chaplin would have reserved the role of Mears for himself. Though the potential of the film seems like it would be huge, I mean Chaplin, Brando and Loren on a matinee is enough to make anyone foam at the mouth, in the end, the film just falls flat. Brando and Chaplin apparently despised each other on set. Chaplin was notorious for directing actors exactly the way he wanted them to play a part, many times going to the length of acting the bit out himself and then saying, “Now, do it more like that.” Brando, who was known for his intense dedication to performance through method acting, had a hard time being handled as an actor in this manner and didn’t see eye-to-eye with Chaplin methods at all. The final result on screen is visibly a stilted performance; rather than coming off as funny and light hearted, Brando feels wooden and forcibly tongue-in-cheek. Likewise, Loren’s performance leaves something to be desired, but not to the same degree as Brando’s portrayal of Mears. Honestly, to me, the show stealer was Patrick Cargill as Mear’s aging valet Hudson. I thought he was brilliant as a supporting character. Like A King in New York, this film was also made in England with rented studios and didn’t afford Chaplin an ideal working environment that he had been accustomed to in California with his own studio. Rather tragically during production actually, Chaplin broke his ankle which delayed production for a couple weeks. Upon release, A Countess from Hong Kong received generally lackluster reviews and was not a success at the box office. 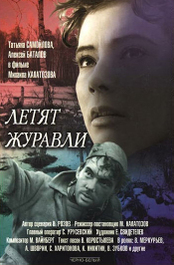 During one of the premieres, the projectionist didn’t set the anamorphic adapter on the projector properly and the film was screened in an improper aspect ratio. The disaster of this film was very difficult for Chaplin, though there were some reviewers who gave high praise to the picture. In my opinion, I feel it was a rather low note to go out on and can see why many people prefer to think of Limelight as Chaplin’s swan song, but once an artist, always an artist and to take away an artist’s ability to create is essentially that of killing him. Following this film, Chaplin wrote a screenplay for a film that would have been called The Freak. The screenplay, which was about a South American girl who sprouts wings and is passed off by captors as an angel before being arrested because of her appearance, would have starred his daughter Victoria from his marriage with Oona. In fact, test footage was made with Victoria in costume, though Chaplin never got to complete the film. Chaplin would go on to be knighted in 1975. He passed away on Christmas Day 1977 at his home in Vevey, Switzerland at the age of 88. Well, that brings us to the end of our journey through the eleven feature films that Charlie Chaplin made in his lifetime. I hope you have enjoyed my reviews and some of the background information I have provided on each of the films. I have to say that Chaplin is probably my favorite filmmaker of all-time. Though his films were not always the most technically proficient, his ability to tell a story that could make you laugh or cry, or a little of both, was a true gift. I am by no means the foremost scholar on the work of Chaplin, but I do feel like I am better than the average as I have read most of his biographies including the seminal work by David Robinson, Chaplin: His Life and Art (highly reccomended!) and Chaplin’s own autobiography, My Autobiography. In addition, I did extensive research into his affair with Joan Barry for an article that was published on alternativereel.com and also available as a header link here in this blog as Joan Barry Article. Anyway, thanks for reading this series and if you have any questions on Chaplin’s life or films, I will do my best to answer in the comments section. For a long time before seeing this film I had always associated it as a comedy; even IMDB identifies the film as such. Yet, I didn’t really see this film as a comedy at all. Not that it didn’t have a few comedic moments, but all in all, this was a very dramatic film. As with many of the films I’ve seen over the last week or two, this film had some really great moments, but on a whole was a bit long and boring at times. Lewis Gilbert directed this film and I have always liked his very fluid directing style. For those of you unfamiliar with Gilbert by name, he directed You Only Live Twice, The Spy Who Loved Me and Moonraker in the Bond series. Technically, I think the main flaw with the film is its running time of nearly two hours; the subject matter just peters out after a while. In my opinion, this is a film that I think I would have much preferred had it only ran for about an hour and a half. Also, worth noting, is the fact that this film is incredibly British; so, if you aren’t up to speed on 1960s British slang, you might want to have Google open to figure out what’s being said at times. The best part of the film is probably Michael Caine’s performance. I won’t say it’s amazing or one of my favorite Caine performances, but it was a breakthrough role for him that made his career. Also, in many ways, this role is very much against type from what we’re used to seeing Caine in these days. Supporting cast includes Shelley Winters, Millicent Martin and Julia Foster. Overall, this isn’t a bad film, but has things about it that keep me from giving it a higher rating. 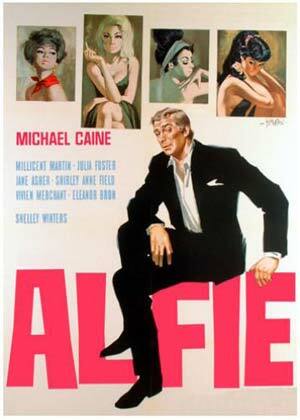 It was remade in 2004 with Jude Law taking the leading role of Alfie. I haven’t seen the remake, but I’ve heard that it is much worse than the original. In that case, I think I’ll pass.